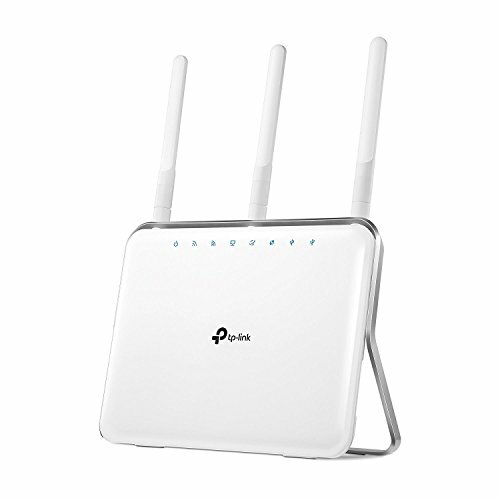 This AC1900 wifi router is best for a connected home. Whether you have smart home products, 4k streaming, online video gaming, or the whole family’s smartphones, the Archer C9 is engineered for fast and reliable wifi for the entire home. The 1GHz dual-core processor will ensure that your media streaming will not buffer if someone else is downloading a 4K movie in another room. Perhaps you have simultaneous devices connected taking up bandwidth, the beamforming technology will laser-focus your wireless signal to where you need it most. Superior wifi bandwidth utilization increases wifi range, delivering highly targeted and efficient wireless connections. Never more will you need to miss that climatic action scene, or booted out of a gaming server. TP-Link’s AC1900 wireless router is the solution for your home network.